LOS ANGELES (VIP-NEWS) — Millions, and possibly billions, of dollars are at stake in a civil trial starting Monday over allegations from Michael Jackson's mother that the company promoting his comeback failed to properly investigate the doctor convicted in his death. 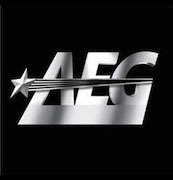 Lawyers for concert giant AEG Live contend the company did nothing wrong and could not have foreseen the circumstances that led to Jackson's death in June 2009 at age 50. The case will focus on the last few months of Jackson's life and his overall health and financial history. Jurors will also hear evidence throughout the case about Conrad Murray, the former cardiologist convicted in 2011 of involuntary manslaughter after giving Jackson doses of the powerful anesthetic propofol as a sleep aid. Any award in the case will be determined by a jury of six men and six women who have agreed to hear the case, which may last 90 days. Lawyers for Katherine Jackson and the singer's three children have said AEG failed to spot red flags about Murray's finances and created a conflict of interest for him between a major payday and maintaining the superstar's health. Murray agreed to serve as Jackson's doctor for the planned series of "This Is It" comeback shows in London for $150,000 per month, but Jackson died before the superstar and AEG officials signed the agreement. The trial will address issues about Jackson's health and finances that were not factors in Murray's criminal trial, and may also feature testimony from the singer's two oldest children. Stars such as Diana Ross, Spike Lee and Quincy Jones are also listed as potential witnesses, and several top AEG executives are expected to testify.